Join XL representatives at our Recruiting Information Session at Chico State! You will be able to hear what it’s like working for XL, career paths and development, and open opportunities. The session starts at 6:00pm, in the Langdon Room 204. The Associated Schools of Construction is the professional association for the development and advancement of construction education, where the sharing of ideas and knowledge inspires, guides and promotes excellence in curricula, teaching, research and service. Come on by the XL Construction booth #325 and get to know us! We look forward to meeting you. Are you a Construction Management, Architectural Engineering, Civil Engineering student or related major? Or are you interested in the construction management industry? This Career Fair is for you! Jobs, internships, and co-op positions available. The career fair is from 9:30am-12pm in the Chumash Auditorium in the Julian A. McPhee University Union. Sustainable building practices can be incorporated into every single jobsite–but how do you implement green methodology without creating a bunch of extra work? We’ll discuss best practices and solutions you can implement right away; plus, we’ll explore how green building can be used to gain a competitive advantage. Innovation isn’t necessarily new, but it should always be better—and that’s certainly been the case for mass timber. Environmental performance, lighter weight, speed of construction and aesthetics are all cited as reasons for its use over traditional materials. However, one of the hurdles left before mass timber can become mainstream is cost. Cost of materials, manufacturer capabilities and efficiencies, erection processes, pre-planning and the level of prefabrication all play a role in the final cost of a mass timber project, and yet there is little widespread knowledge of these topics. This panel of three experienced installers and contractors will provide insight on the cost of real mass timber buildings in the US. Preconstruction planning, construction phasing, erection techniques and lessons learned will all be covered to help building designers assess the viability of their own mass timber projects. When Sonoma Academy completed phase one of its campus 10 years ago some asked why it wasn’t LEED certified, especially since sustainability is part of its strategic plan and curriculum. This is the story of how it developed its master plan to build the greenest school building they could and ended up being recognized in 2018 by the AIA Committee on the Environment as one of ten leading buildings in environmental design. XL completed two identical projects for Genetech. The scope, team, and market conditions were almost identical, however, one project utilized Lean strategies and one did not. Superintendent Jimmy Spencer will explain in detail how implementing Lean strategies improved safety, efficiency, sequence of work, subcontractor behavior, subcontractor buy-in, overtime required, timely owner decisions, and cost savings. Construction is currently experiencing on the largest digitization efforts to be experienced by any industry. With many great solutions on the market, it is important that users are optimizing workflows to get the most our of their investments. Procore and Bluebeam have partnered to ensure just that – users can connect some if their most utilized tools and truly collaborate – efficiently. Learn how users are utilizing the Procore + Bluebeam integrations to streamline their workflows to save time and money across the enterprise. 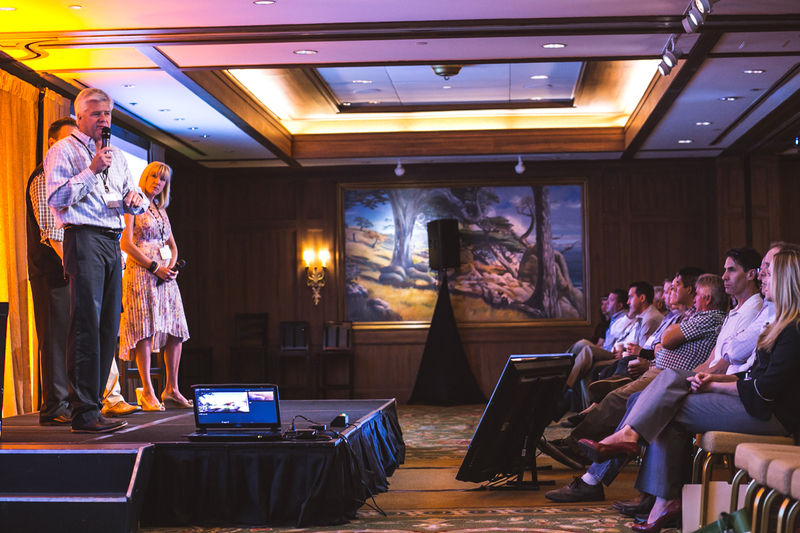 Speakers DJ Phipps, Director, Construction Technology at XL Construction and Kris Lengieza, Director of Business Development, Marketplac at Procore, presented this lecture at the BlueBeam Extreme Conference 2019. Like many schools across the nation, Sonoma Academy, a west coast, rural high school, and the Waldorf School of Pittsburgh, an east coast, urban, K-8 school are rethinking educational design. By pushing for material transparency, these two projects are turning their learning facilities into healthy havens and proving that the LBC Material’s Red List is achievable across a variety of building types and scales. This session will examine Sonoma Academy’s new Janet Durgin Guild & Commons building – a 2-story, 19,500-sf hybrid maker space, cooking lab, and learning center, located in Santa Rosa, and explore the Waldorf School of Pittsburgh 8th Grade Classroom building, a 1,000-sf modular learning space located near downtown Pittsburgh. Design teams from both projects will discuss how they overcame hurdles to meet LBC Red List, and illustrate how their projects pushed for transparency, energy-efficient products and systems, and avoided harmful chemicals. They’ll lead a dynamic discussion about the future of building materials, focusing on where the A+D industry should head in terms of local and sustainable products. Please join us for our next Bay Area Bluebeam User Group Meeting on August 28, 2018 at the XL Construction office in Milipitas. We will start with networking and snacks from 5:00pm to 6:00pm with the presentations starting promptly at 6:00pm. Caleb Taylor from Buildr and DJ Phipps from XL Construction will be presenting about workflows between Bluebeam, Egnyte and ProCore. Looking forward to having everyone join us for a great night of conversation and networking! A candid session on lessons learned on the Skyline College Environmental Science Building’s progressive design-build project. Learn how our team quickly changed our practices during the design phase to expedite the schedule. The XL/DES/Owner team leveraged LEAN practices during the design phase of the project, and saw significant cost and schedule savings. Leverage our design phase lessons learned at the start of your next progressive design-build project for an even better project! While a “boom” period is always better than a “bust” period, there are issues that arise during the former that present challenges to school districts trying to complete their projects at a reasonable price with minimal risk. Listen to an experienced panel discuss how school districts can meet these challenges and still complete their projects as close as possible to the original budget and schedule. This workshop will review various symptoms of a busy construction market, such as: bidding and cost-certainty strategies, potential shortages of contractors and inspectors, and how to address them given applicable legal requirements. Calling all Bay Area Bluebeam users! Join us on February 13th for a night of sharing the latest and greatest workflows and getting to know some fellow bluebeamers. The world’s first school located on a tech campus — will soon provide interdisciplinary learning spaces built-to-fit the school’s personalized and problem-based approach. The curvilinear, two-story building is designed to connect both to its elongated, bay-side site and the Oracle campus. 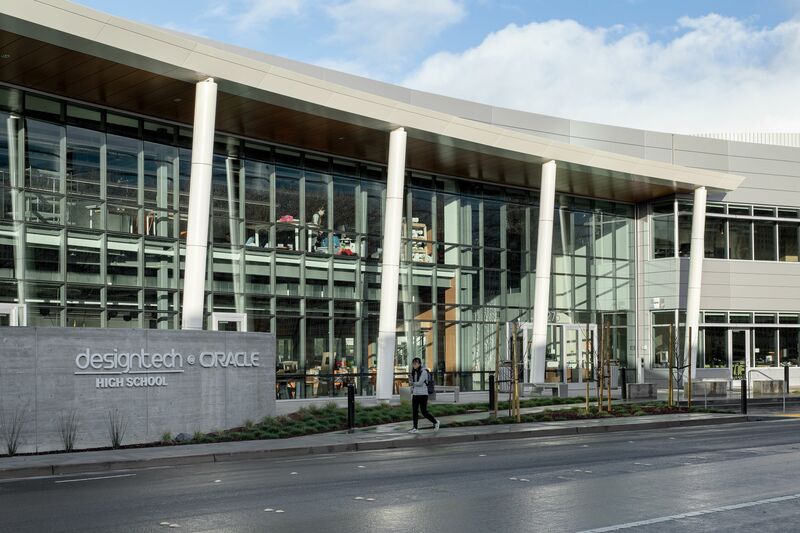 Join the AIA Silicon Valley Chapter on February 1st as we tour the newly designed and newly occupied Design Tech School at Oracle Campus, a free charter school. Join us to hear a panel of speakers including XL’s Alan Laurlund as they discuss the The future of hospitals, the creation of Private-Public Partnerships, and the impact of Obamacare on The Bay Area. “Playworks’ vision is that one day every child in America will get to play—every day.” They create a place for every kid on the playground to feel included, be active, and build valuable social and emotional skills. Learn more about this great organization! Rebuilding Together Silicon Valley (RTSV) provides critical home repairs to over 300 clients per year. They also assist nonprofit organizations with facility maintenance and repairs so that they can dedicate their time and resources to helping our community. Learn more about Rebuilding Together! Come see us in the Exhibit Hall at the ISPE San Francisco/Bay Area Chapter’s annual Vendor Night.